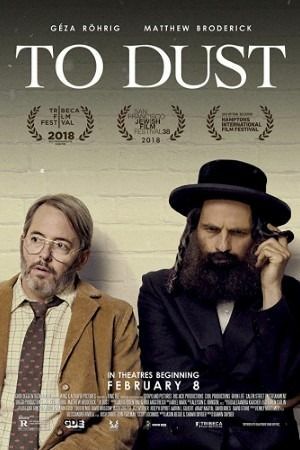 To Dust is a 2018 American drama film directed by Shawn Snyder and starring Géza Röhrig and Matthew Broderick. It was produced by Emily Mortimer, Alessandro Nivola and Ron Perlman. Read more on Wikipedia.